November 16 ,1979. Extreme cold weather and dark clouds prevented the 25th anniversary of the American presence in Holland to be an enjoyable outdoor event. 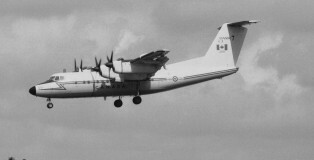 A small static display and an air display marked this historic milestone. A selective audience had been invited to attend this event at Camp New Amsterdam. Highlight of the static display was an ex-Portuguese AF Sabre. 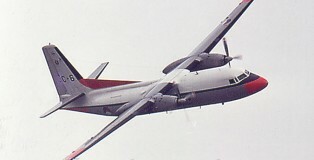 Applied with green stripes over the tail the aircraft had quickly been repainted in colours of 32nd FDS. 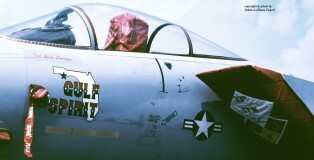 The paint was still wet and USAF roundels were made of paper and sticked to the fuselage. 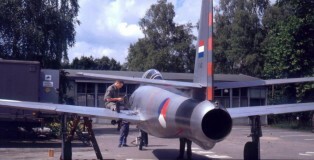 In the vicinity of the village of Soesterberg the Royal Netherlands Air Force has its museum; until 2011 they opened the depots for the public once in a year ; these depots are situated at the nearby former air base, where they store the remaining aircraft. Hans and Frank visited the depots in 1994 , 2005 and 2008. 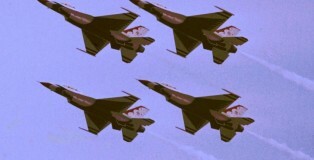 During their European Tour in 1984 the U.S.Air Force’s Flight Demonstration Team The Thunderbirds with their F-16’s also visited Soesterberg Air Base in the Netherlands on June 12th. 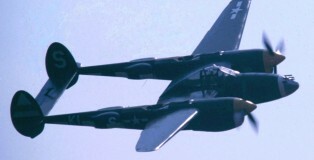 The public had free access to the Base for the duration of the show and many thousands of people watched and admired the team’s flying skills. Hans was one of the spectators and took the pictures in this gallery , although three of the slides used were acquired via swopping with one of his correspondents at the time. On September 11th , 1981 , the day before the actual Open Day at Soesterberg AB took place , the public had already (limited) access to the field . 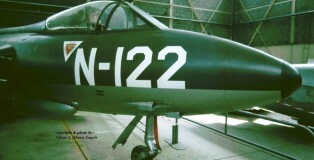 Due to heavy overcast and frequent rainshowers there wasn’t much demo-flying activity , but the Static Show on the ground was satisfactory , including amongst others an F-5E Tiger II of the American “Agressors”-squadron , based at Alconbury , U.K. Hans likes to show you some scans of the colour-slides he took on the 11th. Two K.Lu. 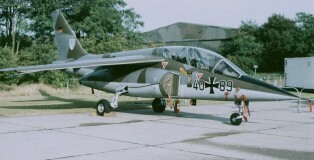 Open Days took place in 1967 : one was organized at Eindhoven AB in September and the other one at Soesterberg AB in June. 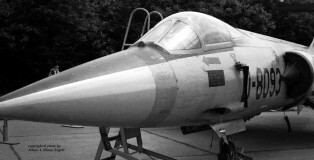 This gallery shows you some black & white pictures taken at Soesterberg by Hans. 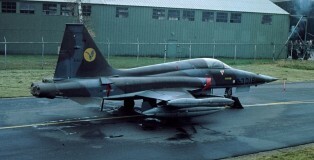 The Hawker Hunters of nr.325 squadron were still going strong at the time!